It is the most frequently asked question in the history of maritime disasters; What if the RMS Titanic never sank? What would have happened to her? While we will never know the answer to this question, certainly we can look at the most logical scenarios. Long story short, you might be disappointed. Let's pretend the ship did not sink. Instead the vessel arrives safely on Wednesday April 17, 1912 to much fan fare and celebration as the World's Largest Vessel. After that, Titanic would would begin a downward spiral of obscurity and routine. Bluntly the vessel, through its natural lifespan, would have only lived for twenty-five to thirty years. She would have quietly met the same fate as any other vessel from that era, the scrapyard. Ironically, the only reason she's existed for over 100 years is because she lies at the bottom of the ocean. 1913. No Longer the World's Largest Vessel. The RMS Titanic, upon completing her maiden voyage, would have returned to Southampton several weeks later in early May 1912, relishing in her title as the World's Largest Liner. Yet she would only hold this honor for less than a year. Two ships, completely overlooked by history, were near completion during the maiden voyage of Titanic, the RMS Aquitania and SS Imperator. In reaction to White Star's announcement of the Olympic Class, Cunard immediately ordered the RMS Aquitania to reclaim its market cap. Construction began in December 1910 and launching just weeks away when Titanic's voyaged. 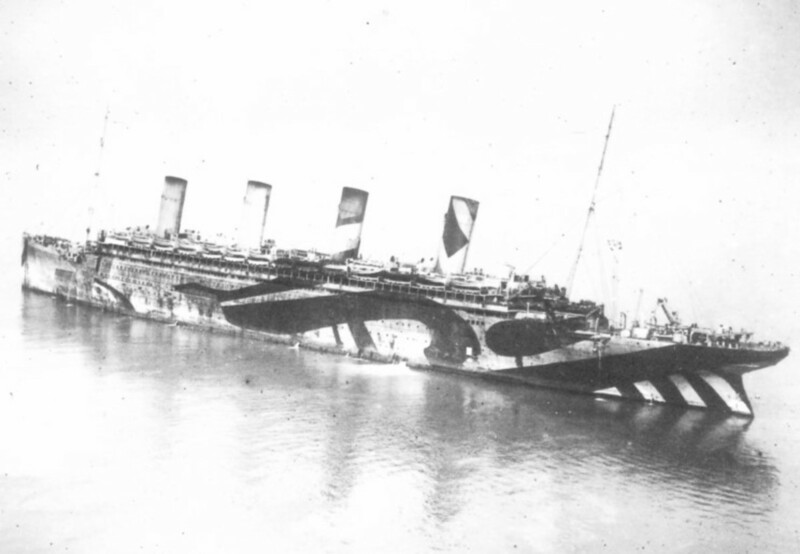 The Aquitania was 901 feet long, twenty feet longer than Titanic. 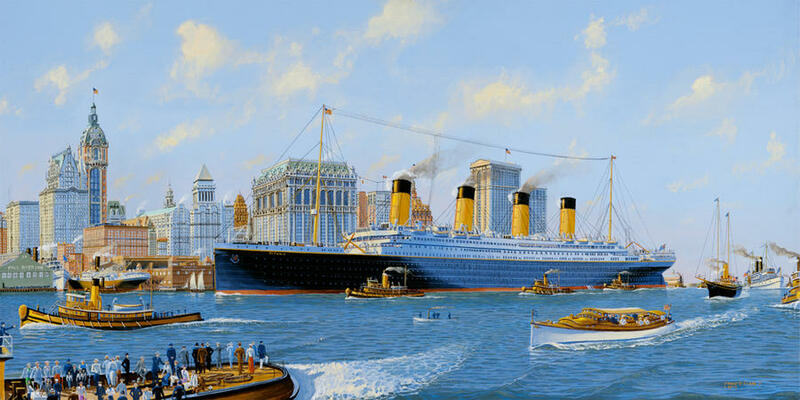 Responding to Cunard's new vessel, the Hamburg America Line's, SS Imperator. This colossal 906 foot, 52,000 ton vessel, a full twenty feet longer and 4,000 tons heavier, would shatter Titanic's hold as the World's Largest Liner regardless. Like Aquitania, construction neared completion during Titanic's maiden voyage. With the spotlight now off Titanic, the ship would begin an unremarkable career as a 'typical' ship of the line. Unfortunately, the only effective means of regulation change is that of a tragic loss of life. If Titanic had not sunk, then the disaster hailed as the most famous maritime disaster in history would have likely gone to RMS Lusitania. Torpedoed in the early days of World War I, the Lusitania was a passenger vessel under the neutral American flag. 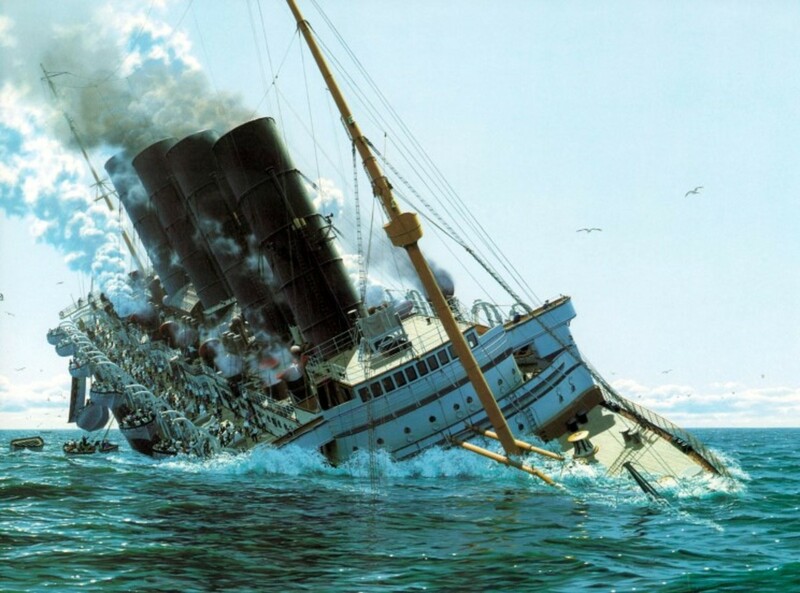 Without the Titanic Disaster to change maritime regulations at an earlier point in time, the Lusitania likely would retain only sixteen lifeboats for the 1,900 people on board. Sinking in eighteen minutes, the loss of life would have been catastrophically worse than it's recorded number. The steerage passengers would have also been locked below decks amongst other atrocities. 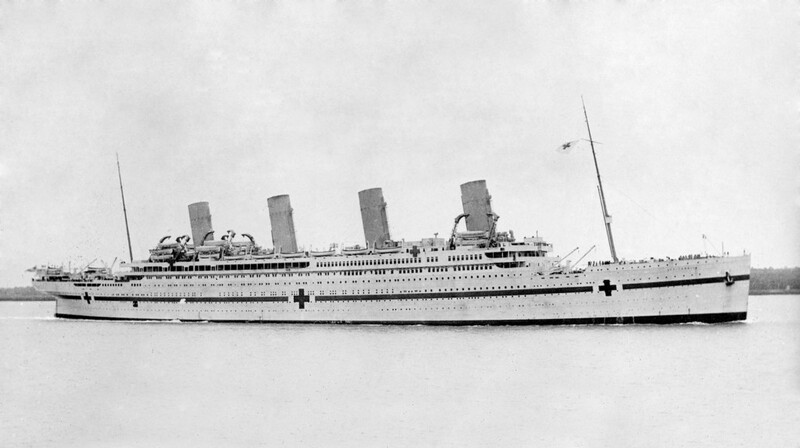 As with the fate of the Olympic, Mauretania, Aquitania and the Imperator, the Titanic would have likely found herself pressed into service as either a troupe transport or hospital ship by the British government. Repainted in WWI era 'dazzle paint' to confuse U-Boats, stripped of her magnificent internal fittings and portholes sealed with steel, the Titanic would have been stuffed to the breaking point with nearly 6,000 troops at a time. Charging back and forth across the Atlantic, dodging U-Boat attacks, rescuing other sinking ships, and even near collisions with other friendlies, the Titanic would have been hailed for her critical roll in the war effort. Like her sister Olympic, the Titanic would have transported nearly a quarter million troops, burned about as many tons of coal and traveled as many miles. She may even have earned a nick name. Olympic's was 'Old Reliable'. 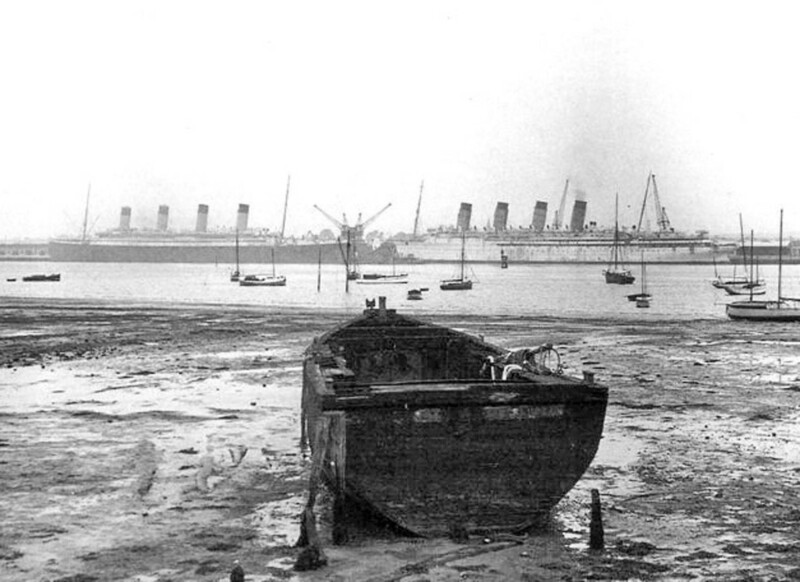 Britannic, the third sister of the Olympic class would become the only vessel of the class to sink. 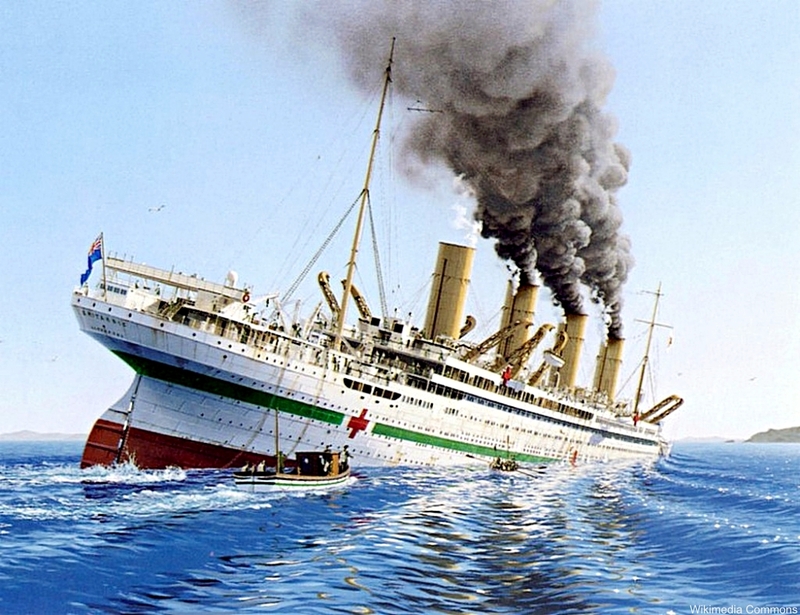 Striking a mine in the Mediterranean Sea, the Britannic foundered in less than one hour. Picture of HMHS Britannic, the third Titanic sister. The sinking of the HMHS Britannic after hitting a mine. Picture of Olympic during WWI as a troop carrier. Note the 'dazzle' paint. Titanic would have regaled a similar design. Providing the ship escaped destruction herself, the Titanic would have been returned to civilian service at the conclusion of the war. In 1918 a modernization refit would have been completed giving her a new lease on life. Interior fittings would be modernized, additional staterooms and safety features added. Most importantly, the ship would have been converted to burn oil rather than coal. Oil was cheaper, cleaner and reduced personnel costs. These refits could have increased her gross tonnage to 49,000, briefly reclaiming the title as the Largest British Liner afloat by outweighing the longer SS Imperator. During the 1920s the ship would have enjoyed a successful career as an express passenger liner attracting the rich and famous competing regularly with her sister Olympic for records and travel. Yet both vessels would not receive much fame. In fact, most attention would have been thrust onto the aging RMS Mauretania as the surviving sister of the RMS Lusitania. Which in this reality would have been the Greatest Maritime Disaster. Titanic may have had the occasional collision with a smaller vessel as did Olympic but nothing else exciting. The mid 1920s saw changes in immigration law resticting the number of people allowed to enter the United States each year. This affected all passenger lines. 3rd Class passenger travel was the bread and butter of the shipping lanes and justified the need for such enormous ships. The White Star Line would have sent both Titanic and Olympic back to the shipyard for yet another modernization refit as it rethought its marketing strategy. This strategy added a fourth class, the Tourist Class, to the vessel's accommodations. New common rooms and state rooms would be again added. Both ships' interior fittings would be again modernized including private bathrooms for all 1st class passengers. The dining saloon would have been expanded to include a dance floor and other entertainment services. From 1929 to 1934, Titanic would have continued its passenger and tourist travel. The end of the mighty Titanic would begin in 1934 with the merger of the White Star Line and long time rival Cunard. The Great Depression all but killed passenger and tourist service, forcing many lines to bankruptcy.. Encouraged by the British government, the merger helped secure government funding for the construction of the RMS Queen Mary and RMS Queen Elizabeth. The newly merged company found itself with a fleet of surplus liners many of which were old and obsolete. The oldest ships in the fleet at this point would be the thirty-year-old RMS Mauretania, the twenty-three year old RMS Olympic and, in this case, the twenty-two year old RMS Titanic. Say there was some possibility that one Olympic Class liner was being considered for modernization. The biggest question would have been which one? How well has the vessel physically aged? Does the vessel have a recorded history of excessive mechanical problems? Will one vessel be more cost effective to modernize than the other? These are just some of the factors that would have been considered before a decision was made. Olympic began suffering metal fatigue in her upper superstructure in the 1920s. Cracks appeared along the expansion joins and bulkheads, a symptom common in riveted ships. It is likely that Titanic, with its heavier construction and fittings would have had a bigger strain on her superstructure. Their internal fittings would be auctioned off and the ships would be sold one by one to the highest bidder for scrapping. Mauretania was sold in 1935 and scrapped in 1936. The Olympic was sold in 1935. Talks amongst her new owners included conversion into a hotel in France but those talks failed. She was sold again to a member of Parliament who bought the ship for the sole purpose of scrapping her. Scrapping was completed in 1937. There is no doubt that the Titanic would have met a similar fate. The Great Depression would have prevented any chance of the ship returning to active passenger service and the costs of converting her to a stationary hotel would have been too great. In an attempt to create some short termed jobs during the depression era, Titanic would have been scrapped. In so doing, joining her sister in an unremarkable and somewhat insulting death, a fraction of the glory the ship would achieve when she sank on her maiden voyage April 15, 1912."